I am on the bus to Ķekava, which I still cannot pronounce correctly, and I am writing a blog while I am stuck in traffic. I just feel the urge to put some thoughts down. I apologize for the seeming randomness of the title, topic, and post, but bear with me if you can. He admitted that he hadn’t been keeping up on the series, but he understood the premise. We then got into a philosophical discussion about the rampant violence in films and such today and why people might be interested in this sort of thing. This is how my days go and how my mind seems to be working. I also gave a lecture at the Riga School of Law. We were discussing fallacies, and I introduced them to the term “FOMO” (Fear of Missing Out), and they didn’t seem to understand. I used the Game of Thrones reference to show how I had FOMO, and I really wanted to see the first episode at the same time as everyone else. I tried to explain that it was that urge to check your phones to see who has been doing what on social media. They did not seem to have FOMO. So now I am questioning myself and why I have this desire to keep up on all these current events and topics. Ultimately, as I have been living in Latvia for almost two years now, I keep wondering how much of my identity is a cultural program that has been infecting me since birth. How many of my emotions and desires are natural and a part of my actual identify versus which ones are layers of identity that I do not even comprehend at a conscious level, but are impacting my decisions and desires? How is my daily life impacted by all the things I “learned” while growing up in America? Another example, to illustrate a bit more of what I mean because I know I am not making perfect sense, is a game I played with my RTU faculty students today. The game was one that I just kind of made up as I was thinking of a fun vocabulary lesson. I give them a word, and they come up with rhymes, synonyms, antonyms, and different versions of the word. The most interesting part was synonyms and antonyms because words have all kinds of different meanings. I gave them the word “heavy”, and they were able to rhyme levy and Chevy. I gave them the word “bevy” which they had not heard of before. But that was all we could come up with. The fascinating category for me was when we got to synonyms and antonyms. Most of theirs were dealing with the idea of “heavy” being a burden, something you have to do that is bringing you down. A weight upon ones shoulders. A heavy load. Only one of them had “obese” and there were no real antonyms given for this definition. I explained that as an American, I likely would have given a whole bunch of words dealing with body image as both synonyms and antonyms. This would have been my first thought when I heard the word “heavy”: fat and obese vs. thin and slim. I am not certain if this experiment holds any actual weight from a socio-scientific standpoint, but I find these observations fascinating. When teaching my English lessons, I always have students tell me about themselves on the first day, and I require them to ask me one question. This always leads to interesting conversations. Last night, one of my more precocious students asked me how Americans were different from Latvians. She was interested to know about openness and generally friendliness. Latvians have a notorious reputation for being rather cold, especially toward strangers. 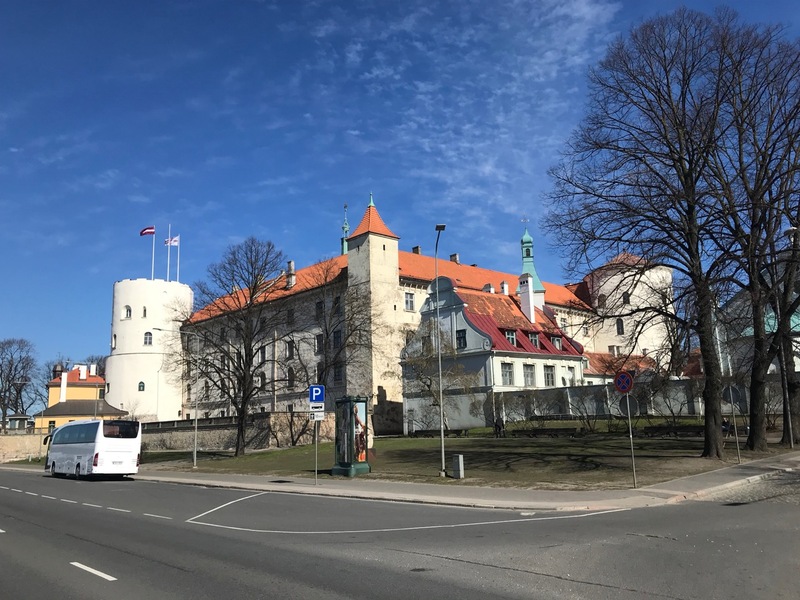 I was thinking a lot about this, and I didn’t want to say anything bad about Americans or Latvians, so I tried to explain some of the good things I see in the Latvian people that I have encountered. I warned you that this post was going to be pretty random, and this response ties in with the first two parts of this post… I don’t know why I am explaining myself. Americans, maybe, are more obsessive about just about everything. That is the one thing I am trying to wrap my head around. I spent part of my answer talking about the Husker spring game which had about 80,000 people in attendance… to watch a practice. I saw Facebook posts about this, most of them touting this number with pride. And I thought… is that something to be proud of or is it kind of weird? Before you take this as an insult, remember that I write this as one of the bigger Husker fans I know. I have been to the Spring Game. I get it. But from an outsider perspective, it seems almost like a mania. Here, people do sports, and they achieve success, but it isn’t this all-in type of world that it seems everything turns into in America. I got tired of how everything escalates into a competitive obsession. I shouldn’t say everything, but this is just what I am feeling and thinking right now. The depth of my argument is shallow. I know that. But I am sitting in a Ķekava kebab restaurant eating a sloppy lunch with loud music playing in the background. It is hard to concentrate anymore, and time is always on my mind. I am in Ķekava today to visit my wonderful family doctor, and it cost me 1.32€. Just for fun, I took some photos of the cost of medical treatments here. I really like that they have a list, like a menu, so you know up front how much things will cost. I am currently having back problems. I have a pinched nerve due to some spinal damage from an unknown source. Pain radiates from my lower back through my left leg, and it has been increasing over the past few months making walking even short distances painful. It is no fun. I learned that I may need some surgery to fuse my spine and free the nerve from being pinched. I hope this will help. I meet with the “best” spinal surgeon in Riga next week to find out what is going on. I will keep you posted. It may make for some unsensational but informational blog posts about this new adventure. I really want to write about what I am learning as a teacher of English here. I hope, eventually, to find some community of teachers and people who are interested in the fascinating world of English as Another Language. We watched a video about accents in one of my lessons. Here, one of the harder ones for my Latvian students (who are teachers) to understand is the Indian accent. After watching this video, my perspective was so altered. There are about a billion Indians, and about half of them speak English at a high level. This means that there are basically as many, if not more, native English speakers in India than there are in the United States. Isn’t that mind blowing? So in the video, they basically said that they were speaking English correctly and it was Americans who were speaking it with a weird accent. One of the people in the video said that it looked like Americans were spitting when they spoke English. Amazing. I have so many questions and ideas about language and accents and how we acquire all of this. It is just a fascinating field. I think i should go for a Ph.D. in linguistics, but any thought about going back to school is met with fear and loathing. No offense to my Ph.D. friends. I ate pizza with a fork last night.